A church next to Knypersley First School have agreed to their car park being used to help ease school run traffic chaos but need £10,000 in order to do so. 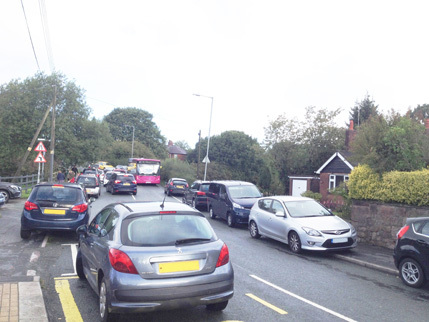 Every morning and afternoon Newpool Road, Tunstall Road and Meadowside get dangerously congested and chaotic while parents drop off or collect children as the school has no parking for parents. The Life Stream Church in Newpool Road adjacent to the school has a large car park and have agreed to let the school have a key to open it to be used by parents during the busy school runs but the church have been informed by their insurers that they need to improve the standard of the car park surface before allowing this to happen. Now residents and parents are helping to raise the necessary funds and a crowd funding campaign has been set up, www.crowdfunder.co.uk/resurface-church-car-park, a grant application to the Safer Road Funding scheme is to be explored and the town council are to consider supporting the scheme.